What does a city taste like in chili form? 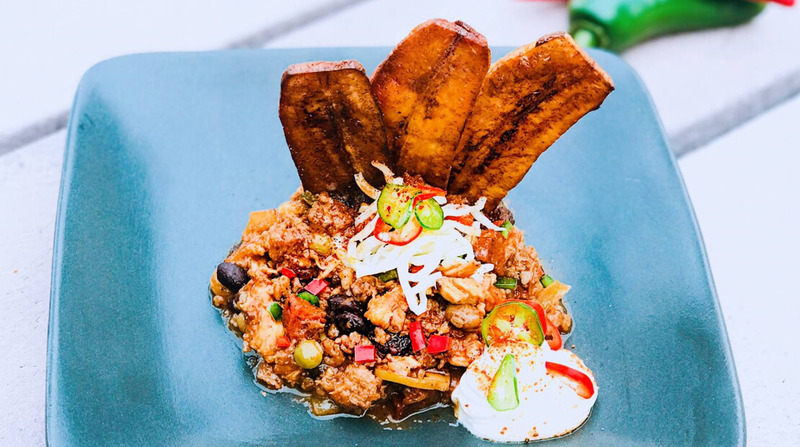 If the city is Miami, and the chili maker is firefighter Alex Callegari of Boca Raton’s Fire Station #8, it’s all about texture and spice, something South Florida knows a lot about. That would seem to make Callegari, who lives in Miami but has commuted to Boca for 14 years, the perfect representative for the “America’s Best Firehouse Chili Contest,” sponsored by Hormel Chili and honoring the National fallen Firefighters Foundation. Next week, he competes with four other firefighter chili chefs in New York City, to prove who’s chief. Callegari is competing in the memory of his late mentor, Boca Raton firefighter John Wilson, who died in a traffic accident in 2011. He says that he joined the fire service “to make a difference in people’s lives. That’s why I dove into it. I saw the opportunity, post 9/11.” Cooking for his fellow firefighters, he says, is an extension of wanting to serve other people. So he included classic Miami ingredients to his meat base of two kinds of Hormel pork roll which is “packed with flavor” — Adobo paste, guava, plantains and two kinds of peppers, leaving a “nice, smoky, rich” chili with some carefully cultivated heat. “Sometimes you have to tread very lightly with the heat, but they’re used to me,” he says of his fellow firefighters, who were instrumental to crafting his recipe.